It's Easy Peasy Lemon Squeezy! This is the perfect pool or hiking accessory this summer. 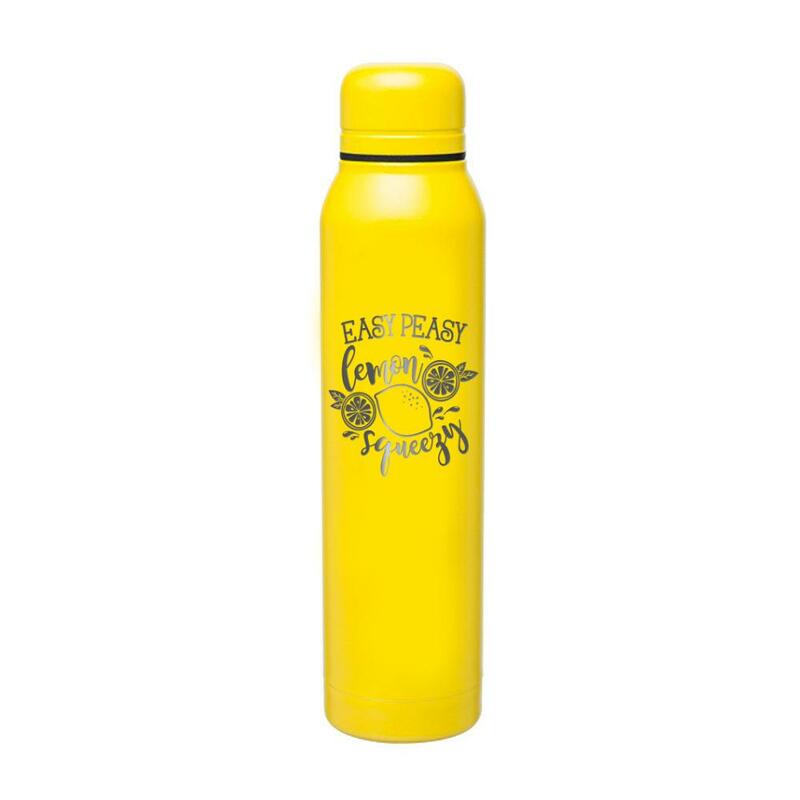 This bright yellow is so fun & fresh - it will quickly become your fave water bottle! Keep your cold drinks cold for 24 hours & your hot drinks hot for up to 12 hours. 16.9 oz double wall 18/8 stainless steel thermal tumbler with copper vacuum insulation, threaded insulated lid, and powder coated finish with the design laser etched right into the finish.